Plant the seeds of memories that will last a lifetime. Below is a list of necessary items to bring along on your child's first day. 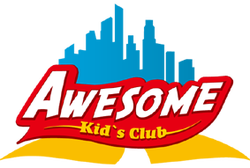 These items will help to ensure your child's comfort at Awesome Kids Club. All enrollment paperwork (if not yet given to the Program Director) This includes a copy of your child's updated immunization record. All paperwork must be given to the Program Director prior to your child's first day at Awesome Kids Club. At least 1 change of clothes (including socks and underwear) Please be sure to replace this set of clothes in the event that it gets used or if your child should outgrow it. The extra outfit will be stored in your child's cubby. Small pillow, crib sheet, and blanket (only for toddler rooms and above) Please place these items in the Awesome Kids Club provided nap bag. Pillows must be small enough to fit inside this bag. Please do not bring large pillows or large blankets as we do not have ample space to store them. Bug Spray (optional in spring and summer seasons) Please label with your child's first name. Bug spray will only be administered by the classroom teachers or ayis. Diapers and wipes (if applicable) Please be sure to bring a full pack and label the pack with your child's first name. These items will be stored in the classroom. You will be informed when these supplies are in need of replenishing. Pre-made bottles and/or baby food (if applicable) These items must be pre-made and labeled with the date, contents, and child's first and last name. Any standard medication that your child may require Please label the medication with your child's first and last name. All medicines will require a parent to sign a medication permission form and will only be administered by our trained and designated staff. All medicines must always be in their original containers. If you have any questions, please do not hesitate to call your Program Director.